On Sunday, May 27, 86 shelter dogs boarded a Freekibble Flight to Freedom in Mississippi (Clarksdale and McComb) to new loving homes on the East Coast. 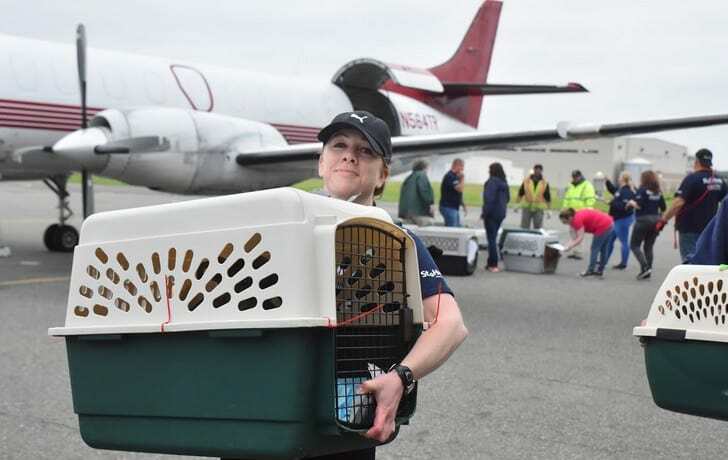 This flight is part of Wings of Rescue Memorial Day weekend flights airlifting more than 500 shelter pets to freedom from shelters in Oklahoma, Mississippi, Texas and Arizona. On Memorial Day, the last flight departed Phoenix carrying 160 shelter dogs to their new homes on the East Coast. These healthy and adoptable dogs were rescued from overcrowded high-risk shelters in Mississippi, the state with the second highest euthanasia rate for shelter pets. St. Hubert’s Animal Welfare Center’s innovative Sister Shelter WayStation Program is a catalyst for ending the euthanasia of healthy, treatable dogs in this country. For the Freekibble Flight to Freedom, St. Hubert’s will serve as a hub for the shelter dogs arriving from sending shelters in Mississippi until they are placed into the adoption programs of destination shelters within the WayStation’s network. In shelters across the country, highly adoptable dogs and cats are euthanized due to shelter overcrowding. 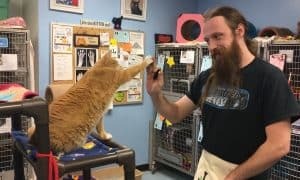 In other areas, shelters have room to accommodate more adoptable pets. 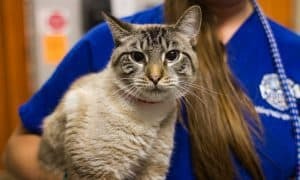 With the generous support of the Freekibble.com and GreaterGood.org communities funding all transport costs, Wings of Rescue will save homeless pets by flying them to shelters where they’re immediately adopted. GreaterGood.org is a 501(c)(3) charitable organization that works to improve the health and well-being of people, pets, and the planet. Over the last 10 years, GreaterGood.org has given over $150 million in cash and in-kind grants to over 5,000 charitable partners worldwide and created and operates several Signature Programs to help animals, including Rescue Rebuild and Rescue Bank. To learn more, visit GreaterGood.org or follow us on Facebook, Twitter or Instagram. Founded in 1939, St. Hubert’s Animal Welfare Center is a nonprofit organization dedicated to the humane treatment of animals. 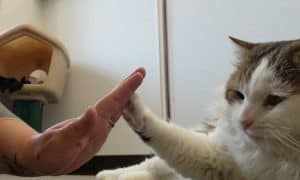 Its services to the community include pet adoption and animal rescue, humane education, a pet helpline, pet training, professional education, animal-assisted therapy, and pet loss support. 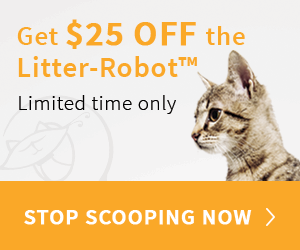 St. Hubert’s Animal Welfare Center has shelters in Madison, North Branch, and Ledgewood, NJ, a dog training school in Madison, and a PetSmart Charities Everyday Adoption Center at the PetSmart in Mt. Olive. For more information about St. Hubert’s, visit www.sthuberts.org or contact the Madison shelter at (973) 377-2295, the North Branch shelter at (908) 526-3330, the Ledgewood shelter at (973) 347-5469, or the Everyday Adoption Center at (973) 448-7601, ext. 7. Wings of Rescue is a donation-based charity flying large numbers of at-risk, healthy pets long distances from high-intake shelters to our network of shelters throughout the United States and Canada that have plenty of space and adopters waiting. Founded in 2012, Wings of Rescue has a squadron of volunteer pilots flying rescue missions in their own planes as well as a fleet of chartered cargo planes. 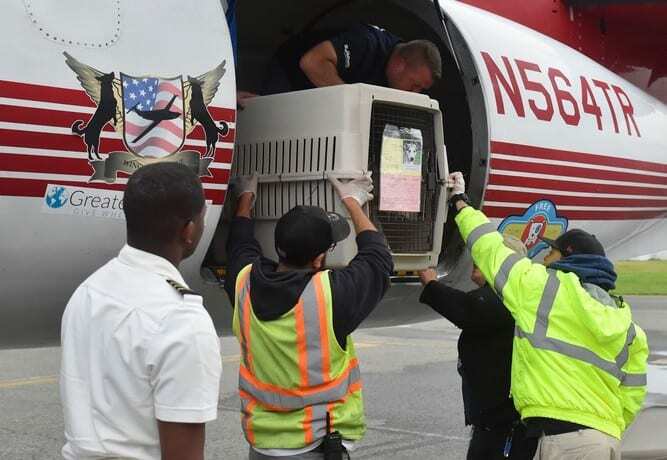 Since inception, more than 29,000 pets have flown to safety. All personnel at Wings of Rescue are unpaid volunteers and the organization relies entirely on donations to fly its lifesaving missions. To donate, please visit: Wings of Rescue and Facebook.